It’s all in the heading itself. UbiSlate, the Tablet PC lineage from the company called DATAWIND, has launched the new Tablet PC called the UbiSlate 7C+(Edge), which supports SIM card at an unbelievable low price. 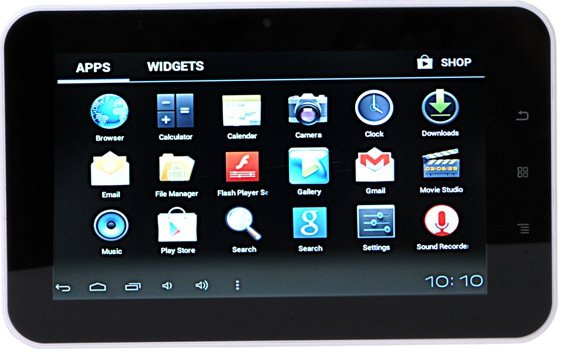 Still the price didn’t surprise many of us, because as all know that DATAWIND has the reputation and history behind, of launching the world’s cheapest Tablet PCs, the Aakash series. With the decent built quality and too good pricing, DATAWIND has established itself in the Indian burgeoning budget Tablet PC market. For the records, UbiSlate 7C+ is exact replica of the UbiSlate 7Ci, except for the calling feature the former comes tied to. So, whatever specs and features you will find in UbiSlate 7C+, will be there in the UbiSlate 7Ci as well (but no SIM card support). Now, let’s see what all we get in UbiSlate 7C+ by paying Rs 4,999. 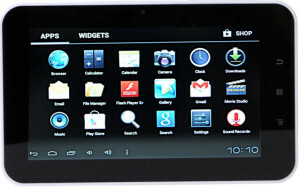 The tablet is a 7 inch Android Tablet which runs on its ICS version. A good performing processor and RAM pair is housed within for a hassle free experience with most of the Apps. Here we have 1Ghz Cortex A8 processor and 512MB RAM. One VGA camera in the front is apt for video chat. Since there is a SIM Card slot present inside the Tablet, one can even connect to the internet via EDGE connectivity. Anyways, WiFi is always there. Want to know from where to buy? Click here to fly directly to the online shelf for UbiSlate 7C+.